The studio will be closed Feb 25 - March 2. Costume orders will begin soon! Please plan to pay for all costumes by March 23rd. There was a snow day on Tuesday, Feb 12th. The classes from this day will be made up on Tuesday, June 11 at regular class times. Please see the office with any questions. 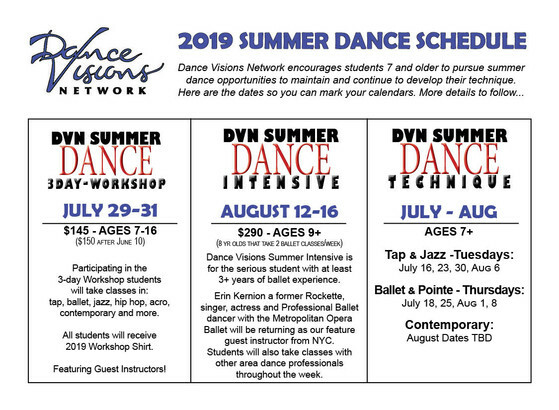 Materials on any of this website may not be copied or duplicated without the express written permission of Dance Visions Network.